As said previously, Circuit Training is a very powerful exercise to improve your stamina, your strength and reduce your body fat. I wanted to share with you a kind of routine I use on weekly basis during my preparation phase (we will talk later about periodization). During the Off season I tend to do only circuit training with endurance exercise such as long walk & cycling – of course I should do running but I prefer to ride my bike (remember that was my former sport). I build a mix of kata session and Circuit Training Session, I called it Kata Circuit Training. The essence of this session is relatively simple when you have understood the essence of circuit Training. 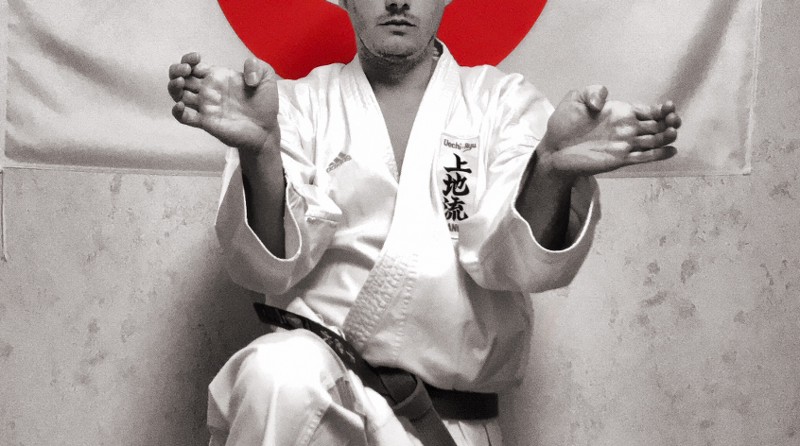 After having completed my warm up and the Hojo Undo I do one Kata exercise (It could be 2 or 3 reps of a complete kata or only a part if I have to learn a new one or work specifically a part of this kata). Just after the kata exercise I do a circuit training exercise and so on. With this routine my heart rate remains in the zones when the body burns fat (even in the recovery time). For a first session : start with no more than 30 minutes then progressively add a couple of Kata-Exercise. Please carefully monitor your fatigue perception the aim is to progress not overtrain ! In this case the Heart Rate Monitor is useful tool to check your ability to recover or not; when you see you are not recovering well after an exercise (the Heart rate is too high) please do stretching exercise and close the session. As an example you will find below the Heart Rate curve and the detail of the session I performed when I was starting to learn Seiryu Kata. At that time I was not in a good shape that’s why the heart rate is too high. Now in such exercise my HR is no more overcoming 160bpm that’s what we call adaptation process (training main goal).